Each year, Australians from all walks of life choose to leave Northcott a Gift in their Will. By remembering Northcott in your Will, you too can make a lasting difference to the lives of others and help us to secure the long-term future of many young Australians with disability. Your gesture will provide a lasting legacy that ensures the security and sustainability of our services, while allowing us to be innovative in how we support our customers with disability to reach their potential. Bill Mudford (pictured below) has chosen to leave Northcott a Gift in his Will. “I want to make a difference to the kids that fall through the gaps, I won’t need the money after I’m gone but they will”. 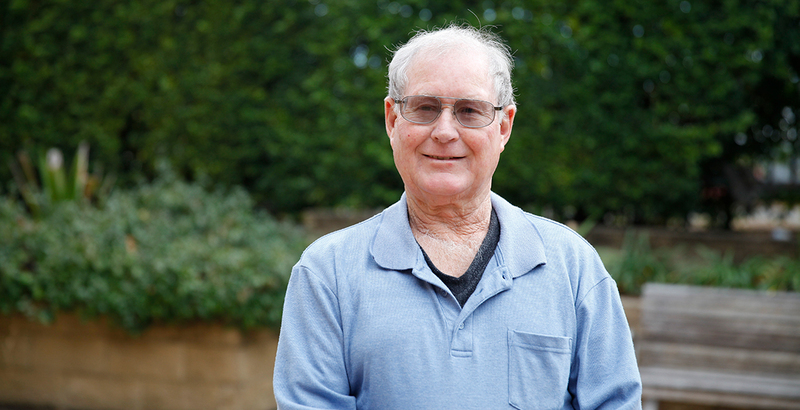 An artist and former teacher, whose late wife Pam established an Education Trust with Northcott to assist young people with their tertiary studies, Bill not only wants to honour Pam’s wish to support others, he has witnessed first-hand the life changing impact living a Gift in a Will can make. When Pam passed away she left Northcott a Gift of property in her Will. Former Northcott employee Jean Pitkin has also decided to leave a Gift in her will. “What I remember most about the families is their courage. Children with disability have numerous obstacles before them. The dedication of their parents in wanting them to achieve despite the obstacles and financial difficulties is very touching. The commitment, staff at Northcott provide to all of their customers is a reminder that with the right support and attention we can all reach our full potential”. “Children are the future of Australia, and your Gift to Northcott will ensure all become truly valued members of our society”. For more information about leaving a Gift in your Will please contact our Philanthropy Specialist on (02) 9890-0113 or by Email fund@northcott.com.au, for a confidential discussion. A Gift in your Will can take the form of money, shares, real estate, an insurance policy, and proceeds from a retirement or superannuation account. A percentage of the residue of your estate or personal items of value, such as jewellery and fine art, are also acceptable. We recommend you speak with a solicitor and discuss your plans with family.